Free Windows data recovery software aims to solve various data loss problem for free! People can find too much Windows data recovery software on the Internet with no difficulty. However, the quality and usability vary from one to another. For example, some data recovery programs have unsatisfying recovery results. It often happens that users don’t managed to perform file recovery on their first try, and lost files may get damaged on the second time, which leads to permanent data loss. What’s more, some data recovery software owns limited functions which can only solve a mall part of data recovery work. Thus, powerful and suitable Windows data recovery software should offer comprehensive data recovery functions. 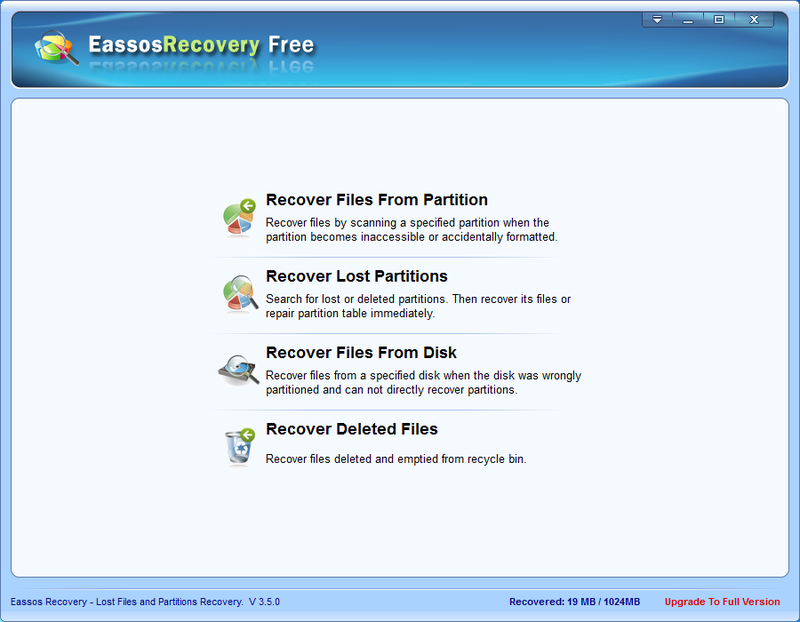 If you haven’t found such a program, please download Eassos Recovery Free. With the purpose of reducing recovery cost, many users choose to carry out data recovery in their own instead of hiring an expert. How to successfully complete Windows data recovery when users have bad command of professional file recovery knowledge? Here are steps of free Windows data recovery software. 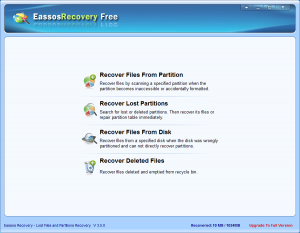 First, download and install Eassos Recovery Free to computer. Then, run it to get its main interface. On the main interface, we can see four data recovery modules. Almost all data loss problem users can encounter in daily life can be categorized into these four modules provided by this Windows data recovery software. What users need to do is selecting the suitable module that matches the data loss situation. The rest operations of each data recovery modules are similar, and uses can finish the entire data process just by following the step-by-step wizard interface. This entry was posted in Data Recovery and tagged free Windows data recovery software by EASSOS. Bookmark the permalink.